Here's our guide on the Posture meter in Sekiro: Shadows Die Twice, and how you can use it to stun enemies. One big new mechanic for the combat in Sekiro: Shadows Die Twice is the addition of the Posture meter. In our Sekiro Posture guide, we'll be explaining in detail how you can easily use the Posture system to your advantage to stun any enemy in the game. How Can You Stun Enemies in Sekiro? Simply put, you need to max out the Posture meter of an enemy in Sekiro in order to stun them. Once they're stunned, you can deliver a Deathblow attack, which will nearly always kill any enemy you're facing. Whenever you land a hit on an enemy, be it through a strike with your katana, or with a ranged weapon, the blank bar underneath their health gauge will fill up with an orange color, by a certain amount. When the stun meter on any enemy is completely filled, they will be successfully stunned. When an enemy in Sekiro: Shadows Die Twice is stunned, they will be unable to move or attack for a brief period of time. If you then attack them during this period, you'll perform a huge, devastating, and brutal attack, which takes off a chunk of health from even the most powerful enemies in Sekiro. After this brutal attack on the enemy, they can get back up if they're still alive, and keep on fighting with their stun meter reset to zero. So how can you go about raising the stun meter of an enemy? Your best bet is sustained attacks. We mentioned that ranged attack and close quarters combat attacks can raise the stun meter of an enemy, but it definitely seems like combat attacks raise the meter by a larger amount. On top of this, managing to successfully parry an enemy will also raise their stun meter (head over to our Sekiro parrying guide for more on this). But just as every enemy in Sekiro has a stun meter, so do you. In the middle of the screen there's a stun meter, that will also fill up an orange color every time you sustain a hit. On top of this, the meter will fill every time you block an attack with your sword or a shield, so Sekiro definitely puts the emphasis on you either parrying an attack, or moving out of the way entirely. When your own stun meter is completely full up, you're left open to a brutal attack from an enemy, just like they would be. Keep in mind that since Sekiro is meant to be a punishing, difficult game, a sustained stun attack on you will nearly always kill you. One final thing to mention is that every boss enemy in Sekiro also has a stun meter. 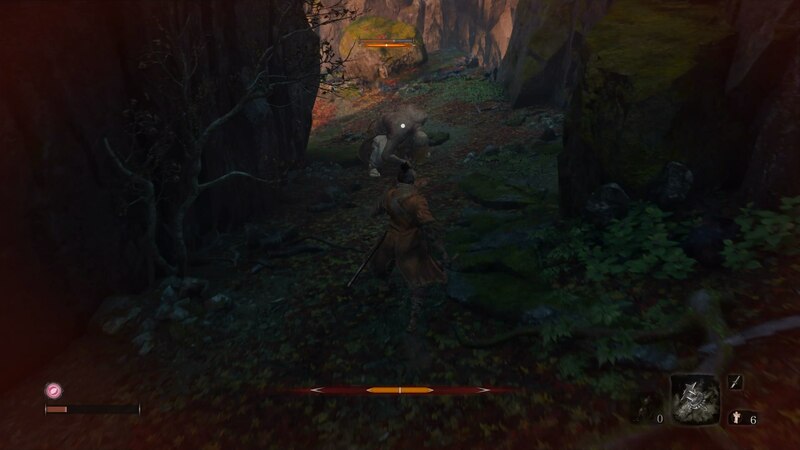 Instead of appearing underneath their health meter (which will be in the top left corner of the screen), the stun meter for bosses in Sekiro will appear directly in the top portion of the middle of the screen. It's much easier to keep an eye on it this way.